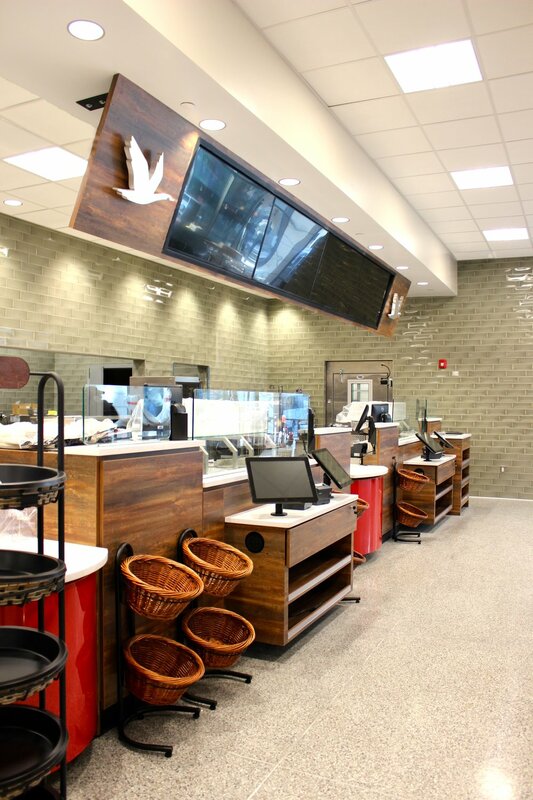 Allied performed the 7,000 square foot tenant fit-out of a new Wawa project in the central business district of Philadelphia. Located at 1900 Market Street in a high-profile office building, the one-story convenience store will be on the ground floor with an eat-in dining area that includes 25 bar seats as well as multiple USB outlets so customers can charge their electronic devices. © 2018 Allied Construction Services, Inc. All rights reserved.